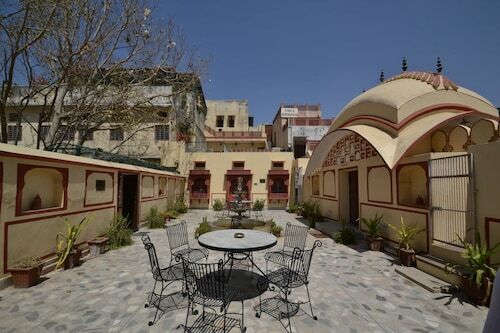 Located in Amer Fort Road, this palace is within 1 mi (2 km) of Jantar Mantar, Johri Bazaar, and City Palace. Jal Mahal and M.I. Road are also within 3 mi (5 km). Located in the heart of Chomu, this luxury palace is 0.1 mi (0.1 km) from Samode Palace and 2.5 mi (4 km) from Samode Bagh Garden. Amity University and Bhawani Niketan Girls College are also within 25 mi (40 km). 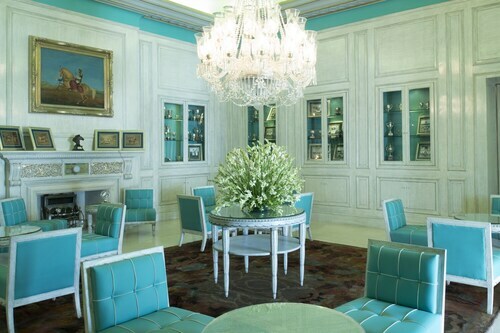 Situated in Jaipur, this luxury palace is within 1 mi (2 km) of Ajmer Road, Sawai Mansingh Stadium, and M.I. Road. City Palace and Johri Bazaar are also within 3 mi (5 km). Whether you’re all about the edgiest high fashion, coolest sneakers, or the latest gotta-have-it handbag, one thing people who know you would never call you is “subtle.” You like to go all out, and there’s nothing wrong with that, especially on holiday. Isn’t a getaway the one time in your life that’s all about you? We think you deserve accommodation that matches your mindset: fancy and lavish, but always unique. In short, you deserve Jaipur District palace hotels. We know you like the finer things in life, so you’ll be glad to know that you’ll find luxury in pretty much every Jaipur District palace. These were the homes of royalty, after all. Just walking in the door will make you feel like Queen Elizabeth at the coronation, and wait ‘til you get to your room. These suites would impress even the pickiest of princes—in fact, a prince might have actually lived in them. On this holiday, though, you’re the prince (or princess), and your Jaipur District palace resort is your playground. You could spend all day strolling through the gardens, if that’s your thing, or you could get out and explore. You know you’ve got the cosiest bed to return to. If you’ve reached a point in your life where you’re considering staying in a palace on your next holiday, congratulations! You’ve definitely arrived. And soon enough, you’ll arrive at your Jaipur District palace accommodation, with your entourage in tow and tiara firmly in place, of course. But first, you need to book it, and Wotif can help. Check out our awesome deals on palace hotels and get the ball rolling on your regal holiday. Front office staff excellent, but still room to improve friendly service .Restaurent staff need to be more careful about time management as per service concerned. Beautiful hotel and well maintained, excellent service. Exceeded our expectations. The food was superb. We would definitely stay here again! 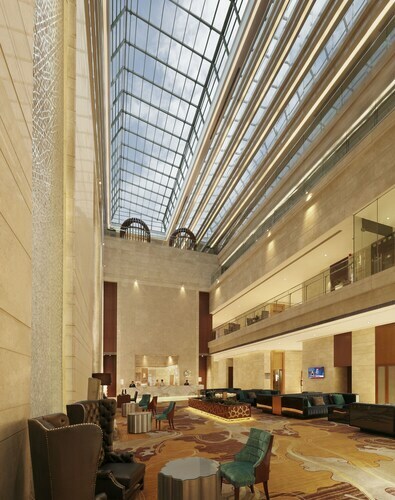 Located in the heart of Jaipur, this luxury hotel is within 1 mi (2 km) of Ajmer Road, Sawai Mansingh Stadium, and M.I. Road. City Palace and Johri Bazaar are also within 3 mi (5 km).